……….The Pakistani establishment has this obsession that a stable and strong Afghanistan will enable it to raise the issue of the Durand Line.They are willing to support any group that can destabilize Afghanistan. To maintain its current territorial integrity, it is in the interest of Pakistan to have a weak and destabilized government in Afghanistan so that there is no one to challenge the authenticity of the Durand Line Agreement. 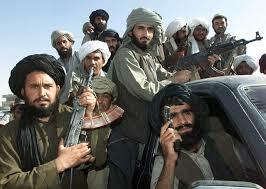 Therefore, Pakistani intelligence agencies have provided shelter for members of Al-Qaeda, Haqqani network and Taliban who are committing acts of terrorism within Afghanistan to destabilize the democratically elected government in Afghanistan.Unless the Durand line issue is resolved, Pakistan will continue to destabilize Afghanistan by any means no matter whoever rules the country. Pakistan may be unwilling and unable to cooperate with Afghanistan unless some of its illegal concerns are met — these include downsizing Indian presence, accommodating the Afghan Taliban in Government and the border question involving the Durand Line. And Pakistan is using the Haqqanis and Tabliban as a bargaining card for it. But here questions arise , why Pakistan is dictating Afghanistan. The relationship between India and Afghanistan is deeply rooted in history. 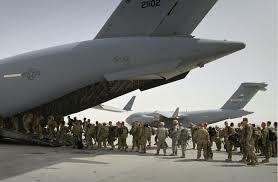 Afghanistan is a sovereign country and it is its right to keep relationship to any country it wants. When Pakistan says that the Taliban must be accommodated in the Afghan Government , then why Pakistan is not accommodating in Pakistan government , the Pakistani those Taliban who are fighting against Pakistan. And when Pakistan is pressuring Afghanistan to recognize the Durand line as an international border, then why Pakistan is not recognizing the Line of control LOC with India an international border. But the mindset which Pakistan has inherited from the British empire is till well entrenched in the mentality of Punjab dominated Pakistan Army , elites and establishment. The British also had been trying to dictate Afghan rulers and Pakistan continues the same. But now it is 2015 and the scenario will be very different very soon. Pakistani military has always been using the religious card not only in Afghanistan but in Indian administered Kashmir and India too. Former Mujahedeen from Afghanistan were sent to Kashmir to support the local rebellion against the assembly election in 1987. 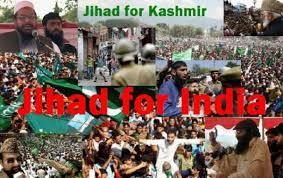 But the Islamist militants also turned against the supporters of the Jammu & Kashmir Liberation Front that demanded national independence and not accession to Pakistan. When Pakistan wanted to fence parts of the Durand line in 2006, it was met with strong opposition from the Afghan side which noted that the fence would only lead to dividing and separating the Pukhtuns on both sides of the border. Pakistani authorities installed a biometric system at the Chaman border crossing „Bab-e-Dosti‟ (Friendship Gate) in Baluchistan in January 2007. They installed eight computerized doors, six for pedestrians and two for vehicles. However, that too was also opposed by the Afghans to such an extent that on the second day of its installation, angry protesters attacked the border gate and destroyed throughout the system. Former President of Afghanistan Hamid Karzai said. 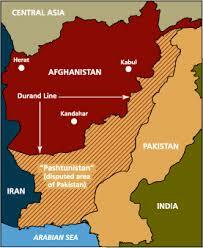 “No government in Afghanistan will accept the Durand Line. Our position is clear, we dont accept the Durand Line and we will not accept it. Whatever the British empire imposed on Afghanistan, it was not acceptable in 1893 and it is not acceptable to us today.” Many Afghans still dream, Pashtuns in particular that one day they might reclaim the territories their forefathers lost between the Durand Line and the Indus River. 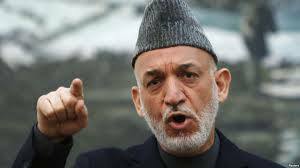 In 2006 Afghan President Hamid Karzai warned that ” Iran and Pakistan and others are fooling anyone.”If they don’t stop, the consequences will be … that the region will suffer with us equally. In the past we have suffered alone; this time everybody will suffer with us…. 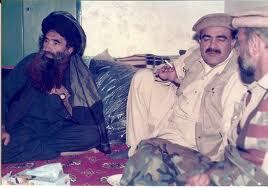 Any effort to divide Afghanistan ethnically or weaken it will create the same thing in the neighboring countries. All the countries in the neighborhood have the same ethnic groups that we have, so they should know that it is a different ball game this time”. 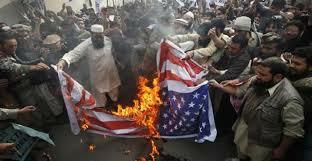 Anti-American sentiment is running white-hot among the Pakistani public . Now Americans wondering why we support Pakistan. America and its allies have been giving the sacrifices of the lives of their sons and daughters to defend a bygone British boundary, Durand line. But why and for what? For Pakistan? which has been cheating and playing double cross game with USA and NATO ? The international community is dealing with a paradox. Now new methods and mechanisms can be carried out for solutions to the matter of Durand line. They should bring the issue to the international courts or to the arbitration of a neutral third party, however, one way or another, a definitive resolution is a must! United States is taking the side of Pakistan, whose government is seen as harboring and even aiding mililtant like Taliban and Haqqani militants waging the insurgency in Afghanistan who are sheltered in the territories cut off by the Durand Line from Aghanistan . Pakistan has always been trying to install a client regime in Kabul. For this they are ready to do any illegal and dangerous thing. Under the supervision of Pakistan Army and ISI , thousands of terrorists have crossed the Durand Line from Pakistan over the last decades and killed large numbers of Afghans. Pakistan, like the British, never succeeded in establishing direct state administrative authority in the old Tribal Agencies now renamed the Federally Administrated Tribal Areas (FATA). Pakistan has been manipulating the situation in the Tribal area along with the durand line to achieve a continued strategic relationship with the United States that provides it with military and financial assistance.If peace and stability were to be restored, the aid would end. But in spite of all these calamities created by Pakistan for Afghanistan, even then Afghanistan today can be described as a strong nation but a weak state, while Pakistan is a strong state with no strong sense of nationhood. Afghanistan’s government is institutionally fragile, but this weakness is counterbalanced by a strong sense of national unity that has developed among its people over the centuries. Even during Afghan civil war, the country never experienced the threat of partition because none of the factions saw this as a useful outcome. Each wanted a stronger position within the Afghan polity, rather than independence from the Afghan state or amalgamation with co-ethnics in neighboring states. Even in the absence of a state administration in Kabul, Afghans never feared that their country might disintegrate. By contrast, Pakistan never developed a secure national identity. It has been preoccupied throughout its history by fears of internal disintegration. Pakistan even couldn’t survive for 24 years after its independence and East Pakistan became Bangladesh in 1971 whereas further disintegration is around the corner. Khyber pukhtunkhwa and Baluchistan have been periodic sites of violent revolts against Islamabad’s rule. To counteract such divisive forces, central governments in Pakistan have fallen on the powerful military and bureaucratic institutions inherited from the British to impose their will on the country’s regions. Now United States and its allies are pulling back from Afghanistan , but “the problem remains as before.”After the US and NATO withdrawal from Afghanistan , the Pukhtuns will be in the crossfire as Pakistan and Iran are preparing for their proxy wars on the Pukhtuns territories both in Afghanistan and Pakistan. The Durand Line ethnic division question has not yet formally reached the United Nations, which could play a major role in settling the disputes between Afghanistan and Pakistan. After the death of Osama bin Laden in Pakistan and the countless insurgent attacks in Afghanistan, U.S. military leaders said that terrorist safe havens in Pakistan must go. But no practical steps were taken by NATO and USA and now they are withdrawing . So they must think about the dirty role of Pakistan in Afghanistan, Kashmir , India and in the peaceful civilized world as a whole.